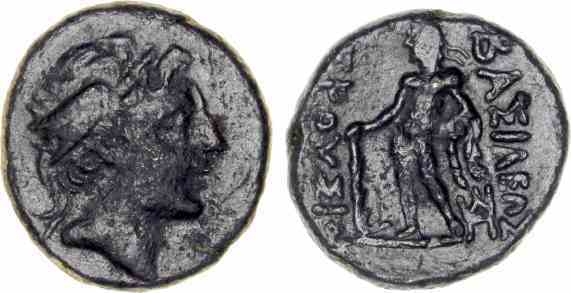 Bronze AE17, 17mm, 3.80gm, issued 185-149 BC. Obv: Diademed head of King right. Rev: BAΣIΛEΩΣ ΠPOYΣIOY, Naked Herakles standing holding club and lion skin. References: Sear 7268, HGC 634.